We always like to buy a Starbucks mug when in other countries. This one lends itself to a blue and brown colour scheme. 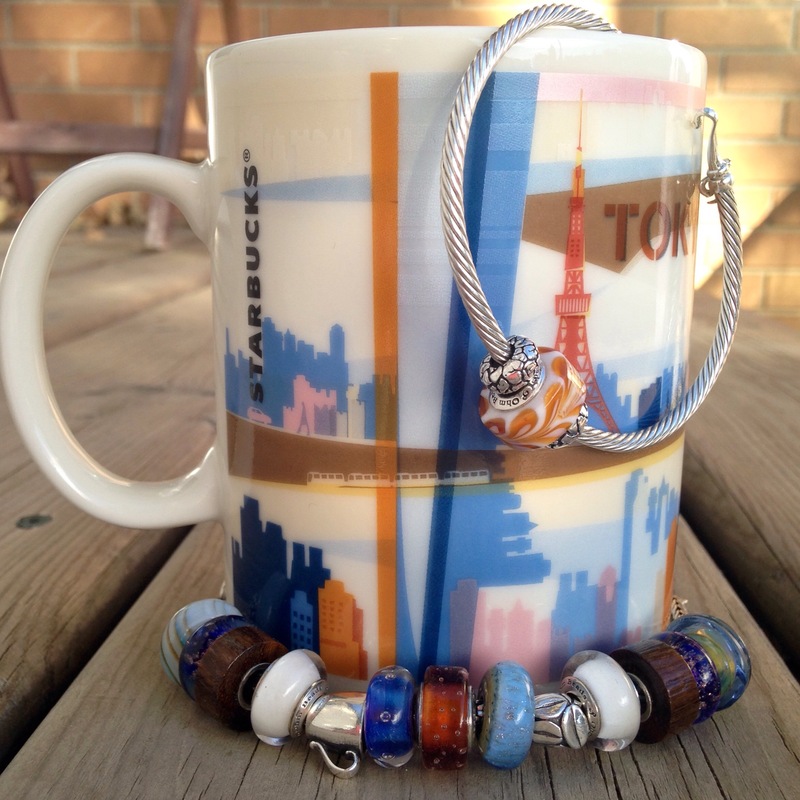 The Ohm Beads Latte bead is a must do with any coffee theme! 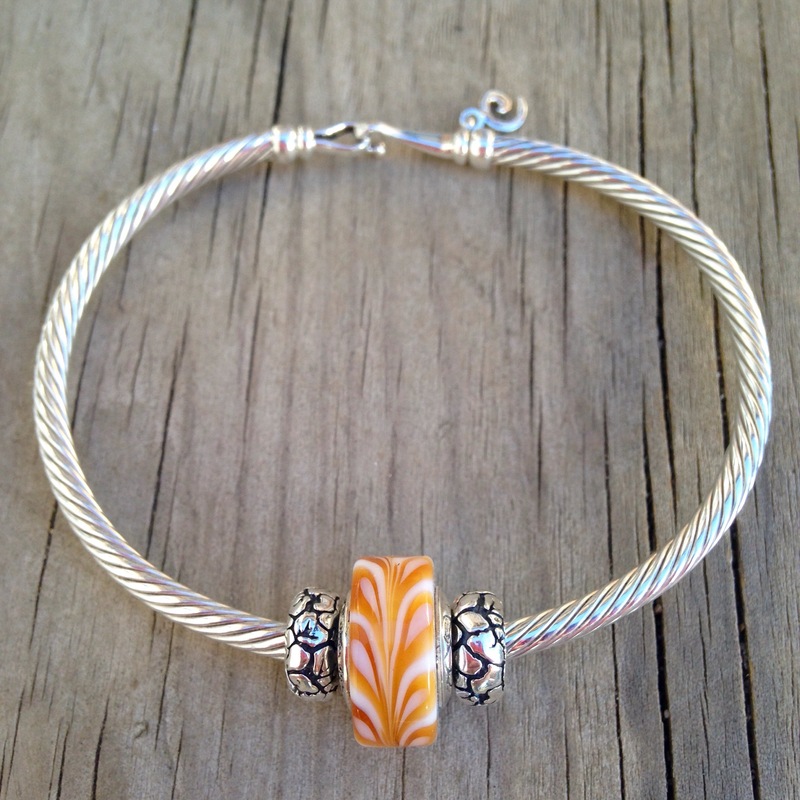 Bangle and stoppers are by Ohm Beads. 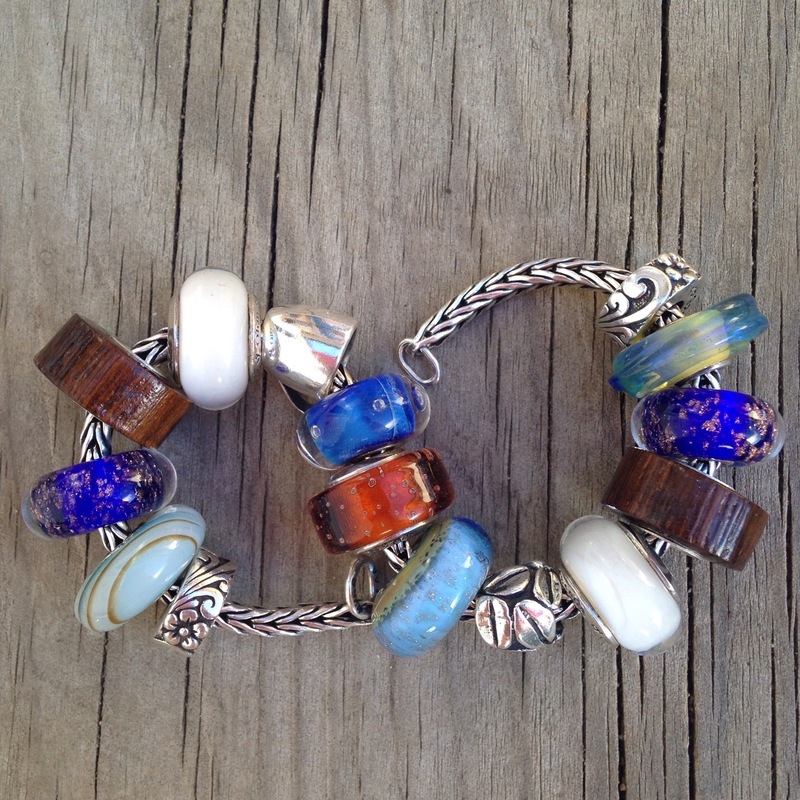 Stoppers on the bracelet are by Redbalifrog.